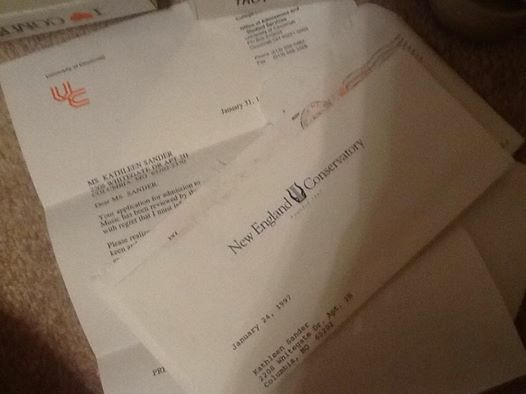 Rejection letters from high-end music conservatories. The invoice for my flute. Letters from my youngest sister that fill–and I mean fill–the front and back of three notebook pages and do not appear to include a paragraph break or margin anywhere. One of Christian’s black dress socks. 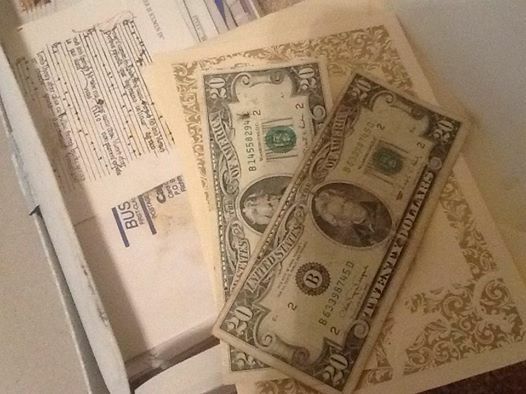 And to those who said when I shared this on Facebook, “Just be glad it wasn’t a check!” I can only say….um….I found one of those last night, too. Tucked in a wedding card. To the tune of (mumble mumble ninety dollars mumble mumble). I had to make a very embarrassed phone call to my uncle last night. Try to calm your “self” and maintain a spirit of humility and gratitude in all things. This can be very difficult for motivated individuals. We tend to fall into self-reliance and push God to the side. That’s when life gets chaotic. Wise words for a work-at-home mom at the end of the first week of summer break.